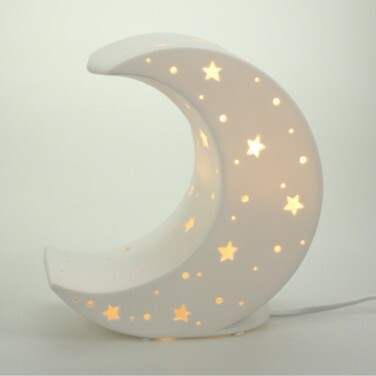 A stunning crescent moon night light, this ceramic lamp is decorated with stars and pin hole craters that allow the light to shine through for magical effects that will be loved by kids no matter what their age. 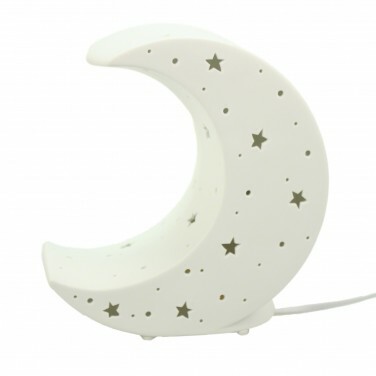 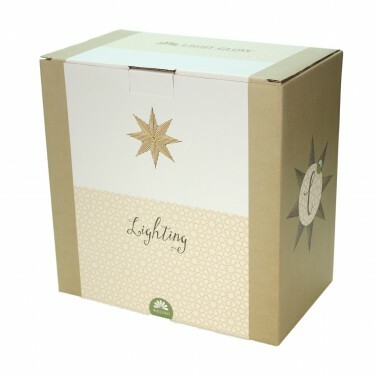 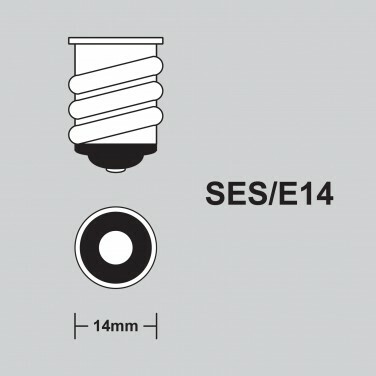 Mains operated, this lunar lamp has an inline switch for easy function and shines with a warm white glow giving just enough light for reassurance at night without disturbing sleep. 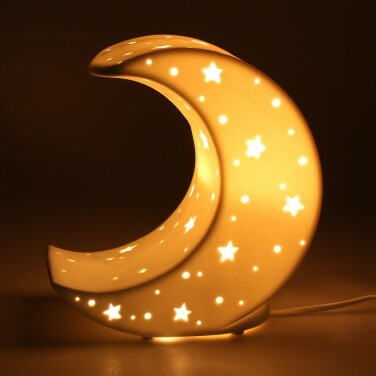 A giant crescent moon wall sticker that glows in the dark night after night and some mini bonus moons too!